Lan has built her career by helping individuals, couples, independent women, and families pursue their dreams and make meaningful financial decisions that are true to their values. Vision Financial Planning is her newest venture. Lan worked as a financial advisor at Edward Jones for nearly 10 years prior to founding Vision Financial Planning in 2017. She can now offer even more transparency and options to you as a client to best meet your financial needs and goals. As always, she’ll spend her time understanding what you are working towards before helping you to invest your money. Partnering with you, your CPA, attorney, and other professionals, Lan takes a holistic approach to develop and implement thorough, thoughtful, and practical financial plans. Lan’s credentials include her undergraduate degree in systems engineering, an MBA earned in London, and her CERTIFIED FINANCIAL PLANNER™ certification. Lan's unique international background, broad business management experiences, and multilingual skills are invaluable to her clients, especially the entrepreneurs and multinational investors. Lan believes in "giving back." She has served on various boards and committees including Council of Business Advisors, the Peralta Community Colleges Foundation, and Berkeley City College. Lan is a generous contributor to the Children’s Hospital Branches, Home of United String Ensembles, Berkeley Art Museum, and Pacific Film Archive and UAspire. She is also an active member of the Berkeley Breakfast Club. Lan is a compassionate, giving, hardworking professional who believes in treating clients like family. Born and raised in a harsh environment in China, Lan’s parents inspired her uncompromising principles and work ethic. She believes authenticity, courage, commitment to family, generosity, lifelong learning, growth mindset, and health are the keys to a successful life. Lan loves spending time with family and friends. She enjoys entertaining, travel, cooking, biking, music, and dancing. Inspired by her son, Preston, Lan took cello lessons and has also become a Little League baseball umpire. Lan and Preston are avid travelers. They have been to more than 15 countries in recent years to explore different cultures. Nia Kelly is our client service associate and joined our team in June 2018. Nia brings with her a decade of customer service experience and, most recently, four years of office management experience at a boutique tax law firm. She prides herself on building strong and helpful relationships with clients and is dedicated to maintaining the high standard of care that our current clients have come to expect. Nia grew up in Duluth, Minnesota, and graduated from Hampshire College in Amherst, Massachusetts, with a BA in history and theatrical costume design. She relocated to California in 2005 and has been in the Bay Area ever since. Nia lives in Richmond with her husband and their energetic elementary schooler. She enjoys reading, baking, making quilts, and spending time with her family. 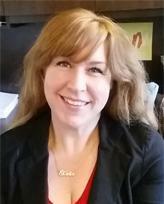 Candi is a practice management and business development consultant for our firm. Candi brings more than 20 years of experience in the financial planning and wealth management arena. Having co-built two client-centric, successful firms in her career, she came to realize that her passion lies in building a holistic, "perfect practice", with service at its core, as well as guiding advisors along the path to their vision. So began her journey in consulting for firms like ours. In addition to her passion for building a "perfect practice", Candi is passionate about the US Armed Forces and hails from an Air Force family. She also has a love for learning, wisdom, and personal growth, and spends much time as a student in those areas. In spare time she focuses on family, travel, exploration, and most importantly, raising the love of her life, her shepherd/husky Maverick, along with a recent addition to the family, puppy Adeline Pearl.